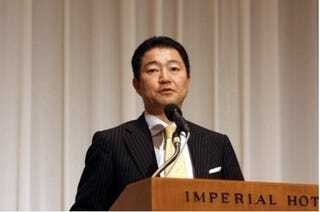 As far as business execs at large Japanese companies go, Yoichi Wada seems rather forward thinking. He's been tackling discrimination in video games head on. "Even now, there have been people in Japan using the label youge- (Western games) with a terribly discriminatory meaning," Wada said in an interview Japanese TV from last December in which he discussed Square Enix and Modern Warfare 2, which it published in Japan. "I'd like them to try it once. If they play it once, they'd realize how incorrect that label is." Square Enix President Calls "Western Game" Label "Terribly Discriminatory"
As we previously mentioned, the term "youge-" has been used to separate Japanese games from foreign titles, which, until recently, were believed to have little or no appeal to Japanese gamers. "Game" (ゲーム）refers to video games. "Youge-" (洋ゲー）means something else - these games are different, they are the other. Wada clarified the reluctance to embrace Western games in Japan somewhat. "Well, actually, I've found the person that is prejudiced is actually the retailer and not the actual players," Wada told website Edge Online. "The retailers have a prejudice against overseas titles, and they won't procure them." But, Wada contests, something like Batman: Arkham Asylum from Square Enix's Western label Eidos caters to Japanese taste. "Arkham Asylum is like the best aspects of Metal Gear Solid, but evolved." Japanese retailers, give it a whirl!